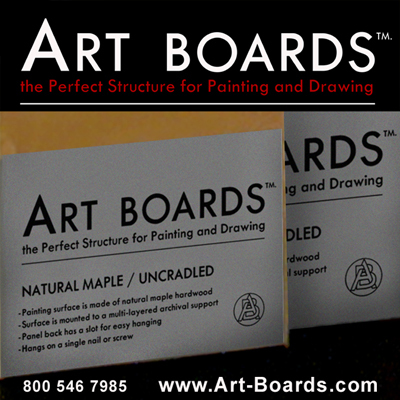 Art Boards Natural Maple Uncradled Painting Panels sizes and prices. Made in 25 stock sizes, and in any custom size. The Natural Maple Uncradled Art Panel is 1/2" thick. Each panel has recessed hanging slots in the back to hang the art. Natural Maple Art Panels are 1/2" thick with recessed hanging slots in the back. See Custom Size Maple Art Panel pricing below. Guaranteed Satisfaction or full 100% refund on All Orders. the width and length into the chart below and then click calculate. Please call us to place your custom size orders. Call Art Boards™ to order custom art panels. Satisfaction Guaranteed or full 100% refund on All Orders. Archival Art Panels for making Art.